The Montgomery County Jewish community will come together to celebrate Israel Fest on Sunday, May 19, 1:00 – 4:00 PM @ the Bender JCC. Join us for our annual community celebration in honor of Israel’s independence. Israel Fest’s presenting sponsors include the Jewish Federation of Greater Washington and the Jewish Agency for Israel. The Bender JCC is proud to host this event bringing together synagogues, community organizations, local agencies, and vendors bringing arts and family activities to the community. Come experience performances, dancing, kosher food, commercial products, and Israeli art. 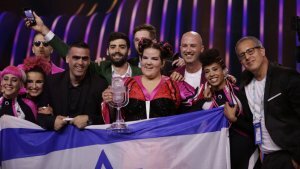 As part of this year’s Israel Fest, the Bender JCC is holding JVOICE: A Singing Competition, as a tribute to Eurovision (Europe’s biggest televised singing contest and the contestant from Israel, Netta Barzilai won) which will be held in Tel Aviv this year. Auditions will be scheduled throughout the day on Tuesday, April 30 from 10:00 AM – 8:00 PM at the Bender JCC. If you think you’ve got the pipes, sign up to audition to be part of this exciting competition! *groups, solo artists, etc, are all encouraged to apply. **Applicants under the age of 18 must have permission from a parent or guardian. Contestants should prepare one song for their audition (not to exceed 4 minutes). 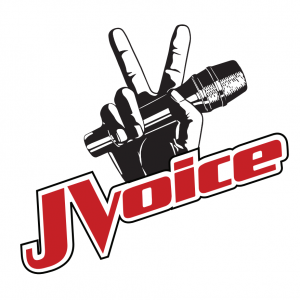 Contestants must provide a CD, MP3 Player, or thumb drive with their music to audition with (if applicable). All contestants are responsible for supplying their own instruments (if applicable). Those who make it past the initial auditions are eligible to perform for our celebrity judges and the entire festival on Sunday, May 19. The winning performance will receive a grand prize of $300. If you have any questions please contact Lisa Del Sesto or call 301-348-3756.